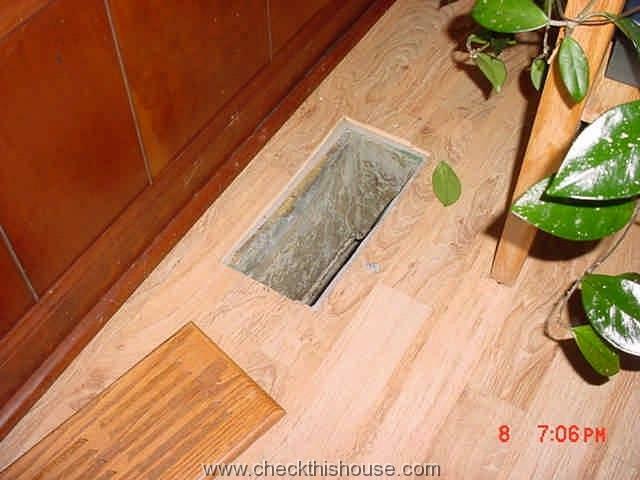 If this is where you are beginning asbestos in your home “adventure”, you may want to go back to “Asbestos in Your Home, Part One“, in order to get the full picture. The asbestos fibers are one of those dangers that we can’t see without special equipment, and symptoms of asbestos exposure usually takes 20 – 40 years to develop … but they’re almost always fatal. 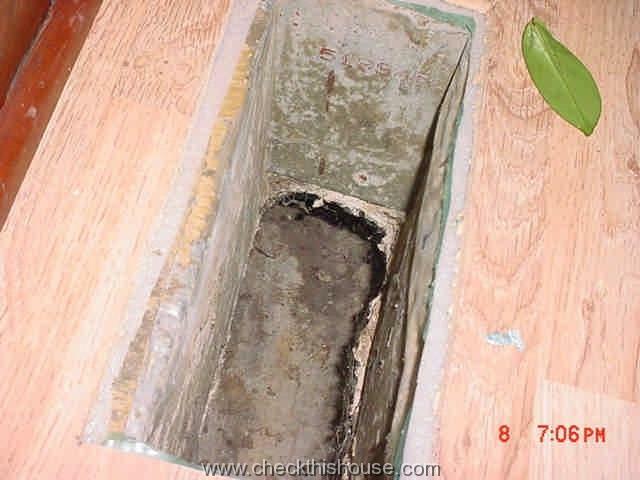 Transite pipe is a non friable type of asbestos in your home – you can easily recognize one by removing the register cover in the slab section of your house. It looks like a cement pipe and will most likely have a very rough, uneven edge around the opening (just like on the pictures). Those rough edges are one problem – might release airborne fibers into the air; another is that Transite pipes are not flexible and often crack under or inside the slab, creating more rough surfaces and airborne fibers. 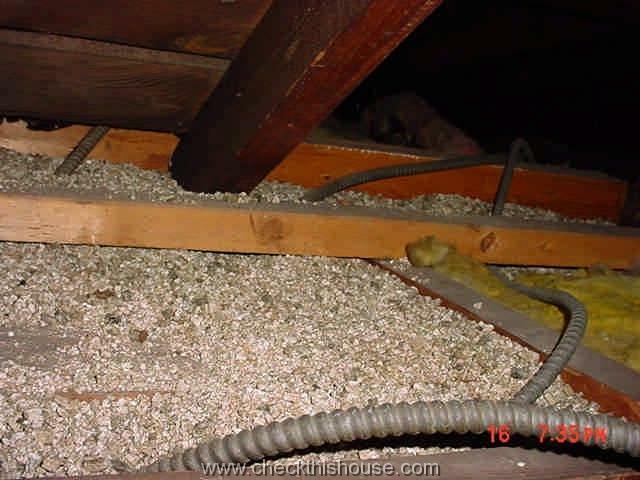 If you suspect this type of asbestos in your home (air ducts made out of asbestos containing cement), have a professional take a sample and laboratory test it – this is the only full-proof way to determine if it contains asbestos and what kind of asbestos is it. 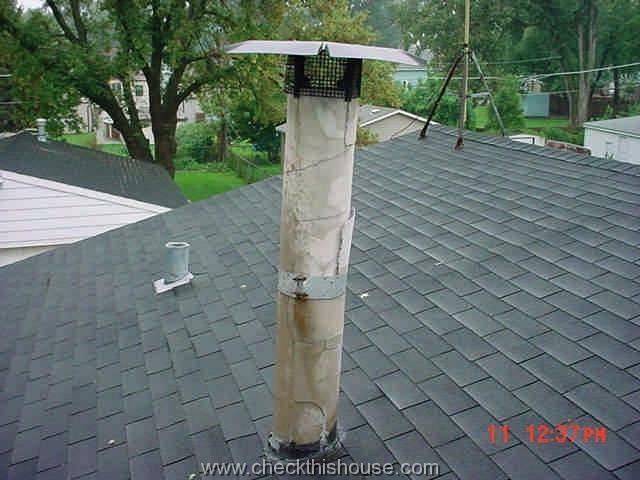 Another Transite pipe application is the chimney flue or its insulation. 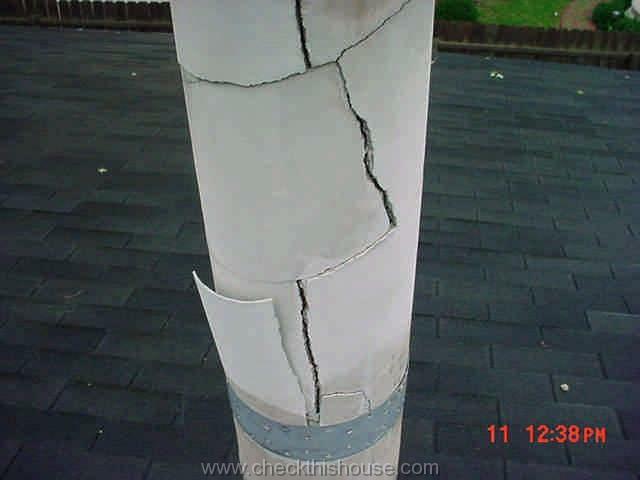 As an insulation it performs well unless significantly deteriorated or falling apart, just like on the pictures. 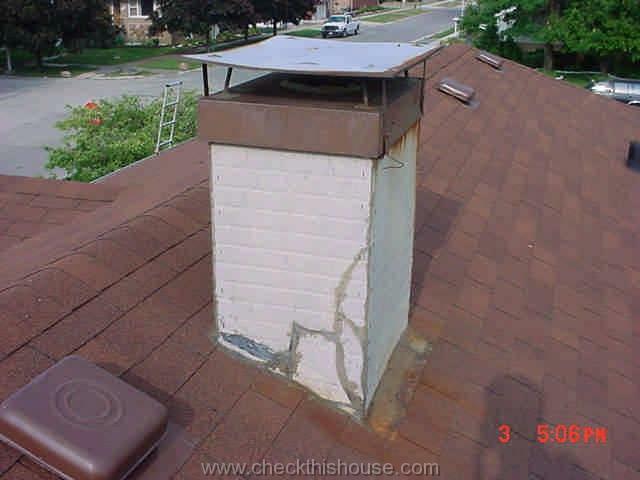 This often happens if used on exterior parts of the chimney / exposed to extreme weather conditions. 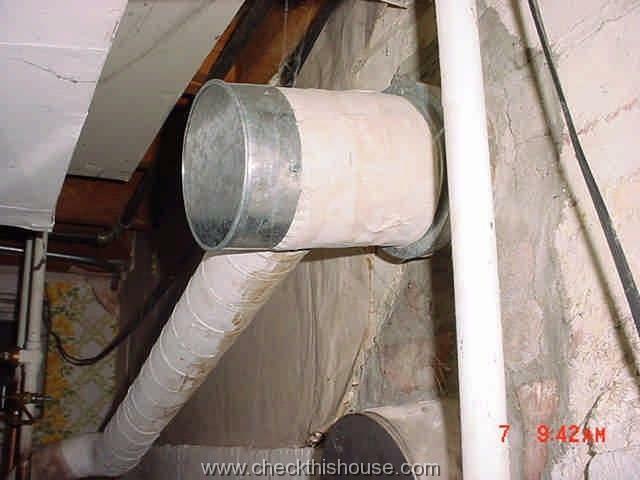 A transite pipe used as a primary chimney flue, with no metal liner inside, creates a problem when it cracks and starts leaking exhaust fumes into the attic or living area. 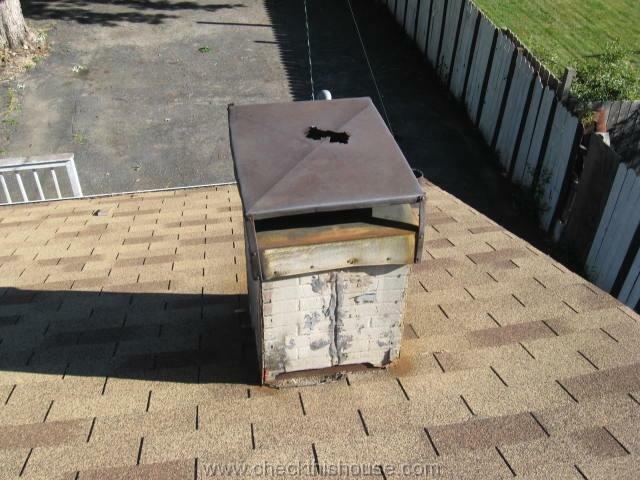 Therefore, all vent pipes that pass through the house living areas and the attic are now required to be double-walled, galvanized metal, or Type-B. I highly recommend replacing the Transite pipe and disposing of it correctly. 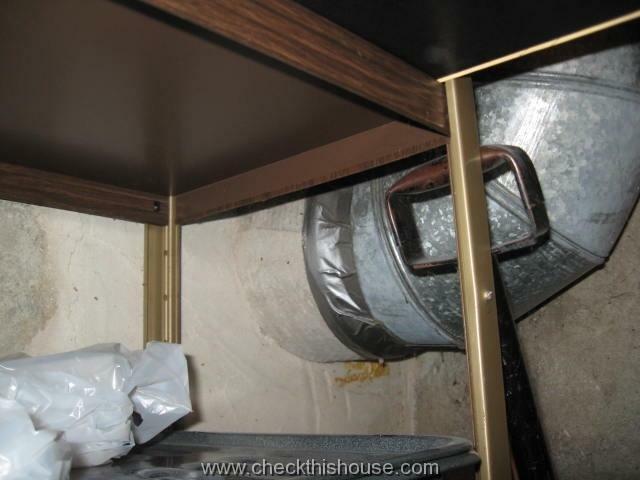 Paper wrap insulation on heat vent flue pipe joints – when it comes to water heater or furnace replacement, its vent pipe might need to be disassembled – if it is asbestos, this process should be done by an asbestos professional. Vermiculite is a silver-gold to gray-brown mineral that is flat and shiny in its natural state and puffed and dull in its expanded shape (EPA). 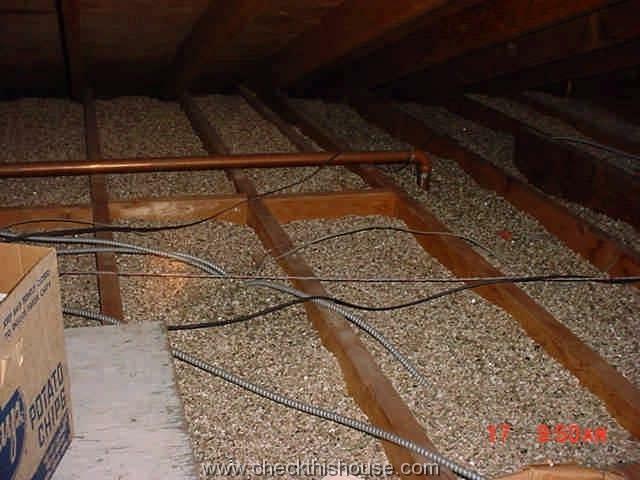 Tons of this Vermiculite based material is still insulating the Chicago land homes, usually in the attics and wall cavities, and some of it might be heavily contaminated with asbestos. This mineral was discovered near the town of Libby, Montana (Grace mine) in 1881, mined from the early ’20s to the early ’90s (records indicate that 70- 80 percent of all vermiculite sold in the world during that time came from the contaminated Libby, Montana mine), and distributed under the name of “Zonolite”. 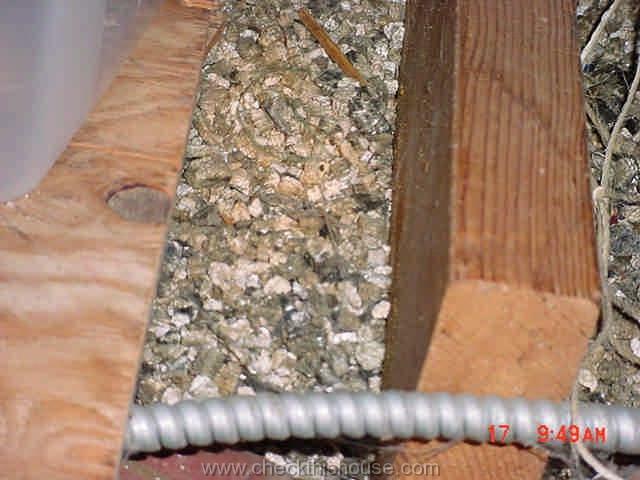 With or without asbestos, Vermiculite looks very much the same, and cannot be distinguished without laboratory testing. So if you recognize a material in your home that looks like one of the pictures, make sure that you have it evaluated by a professional. Some of us love it, mainly because it hides surface imperfections; yet many more hate it. When it comes to remodeling, you should test it for asbestos presence because using a traditional scraping method will produce plenty of dust. No danger under normal conditions, but it could add several thousands of dollars to your remodeling or demolition project if it would require removing of asbestos containing material. Asbestos containing panels of various types (some resembling cement boards or thick, cardboard-like paper) can be found above the furnaces, surrounding furnace / water heater room, inside the furnaces and boilers (I’ve seen some inside the old forced air furnaces used a liner of a heat exchanger enclosure walls), and as a furnace or water heater insulator.